While Prime Minister Key “stands with Belgium in the fight against terrorism”, and Foreign Minister McCully “stand[s] with the people and Government of Turkey in their fight against terrorism”, neither can bring themselves to stand with Israel against their fight against terror. 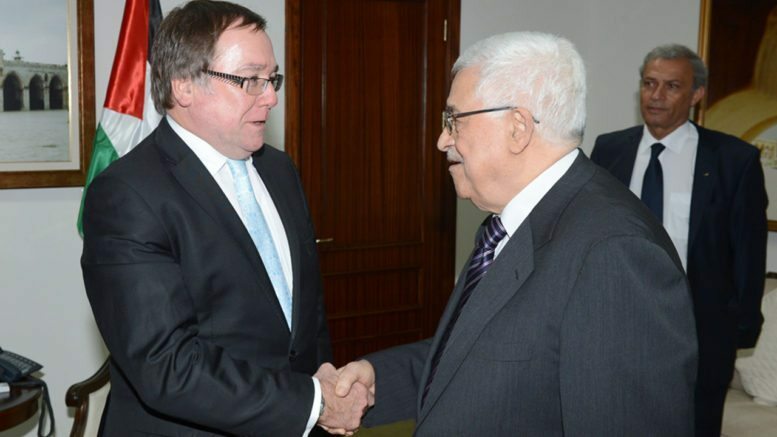 This double standard was brought into sharp focus again at an event last week, where Minister McCully said he makes “no apology for calling it as it is” when it comes to Israeli settlement building yet could not bring himself to use the word “terrorism” to describe the Palestinian attacks against Israelis in recent times. A leader of the Islamic Council of New Zealand has previously indicated that he thinks Israelis attacked by Palestinians are not considered innocent victims nor their attackers terrorists but for a member of the New Zealand government to do similar is concerning. It is also out of step with leaders from other democratic governments – leaders from Britain, Germany, Canada, Australia, The UK, France, Greece, India, and the USA have all condemned the terror attacks against Israelis. New Zealand will not. This silence suggests Jewish lives don’t matter and gives encouragement to groups who might commit violence. In a speech outlining the UK government’s five-year plan to tackle extremism, Prime Minister David Cameron said “…if you say … “violence in London isn’t justified, but suicide bombs in Israel are a different matter” – then you too are part of the problem.” It seems that McCully is part of the problem. The Islamic State, like all Islamist groups, prioritises Jews as targets. In October, last year, they issued an announcement that “this is a serious and clear announcement to all the Jews, the first enemy of the Muslims…we’ll continue on until we eradicate this disease worldwide” and plots have been uncovered that specifically target Jews in the United Kingdom, Spain, Canada, France, and Turkey. Minister McCully has been silent when Jews are murdered. Some world leaders have recognised this terror specifically directed at Jews and the rising anti-Semitism, particularly in Europe, and have spoken out. The Belgian Prime Minister said “We never spend enough to protect the Jewish community…”, David Cameron has said “At a time when once again the Jewish communities of Europe feel vulnerable and when anti-Semitism is at record levels here in Britain I will not stand by”, and a US congressional human rights panel heard from experts how Islamic radicalisation threatens Jews. Minister McCully has been silent on violent anti-Semitism around the world. Not only has the government failed to condemn the terror attacks against Jews overseas, there has been nothing said about anti-Semitism in New Zealand. While at a lower level than Europe, there has nevertheless recently been two public calls to kill Jews – one that went unchallenged at an anti-Israel protest and one that was removed from the FaceBook page of Andrew Little – and at least one physical assault. Will the New Zealand government speak up for Jews or will they continue to be conspicuously silent?